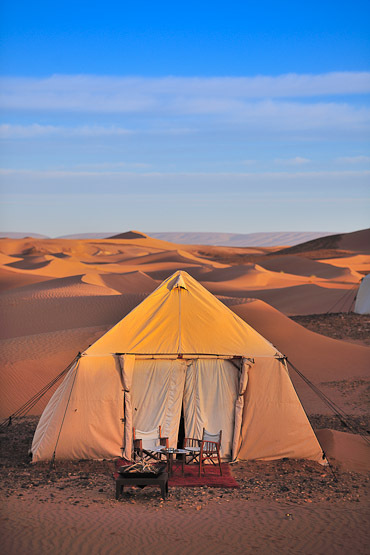 What better to escape the winter, the cold humidity and a hectic life than venturing into the deep Sahara of Morocco? 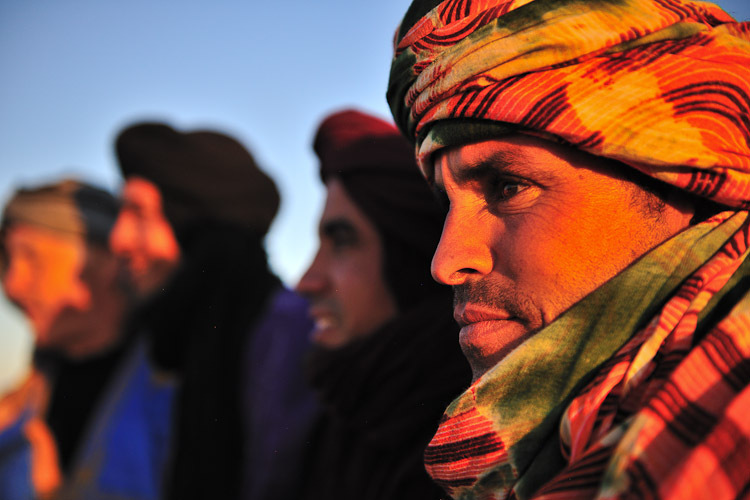 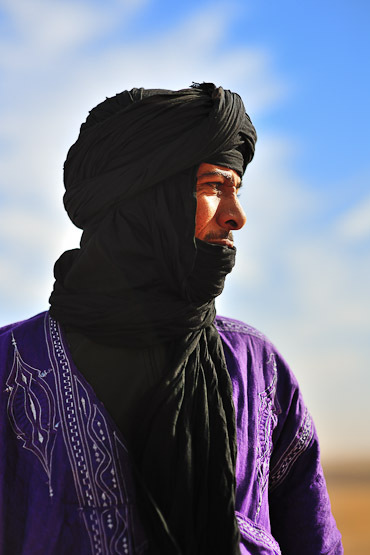 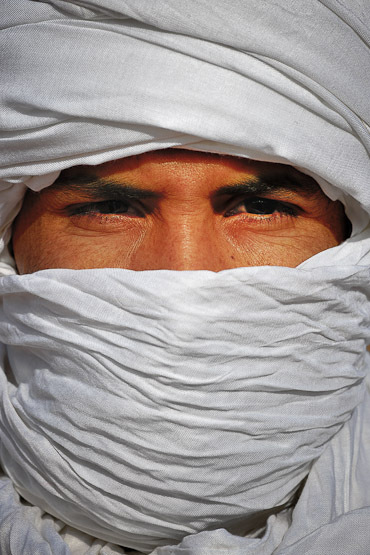 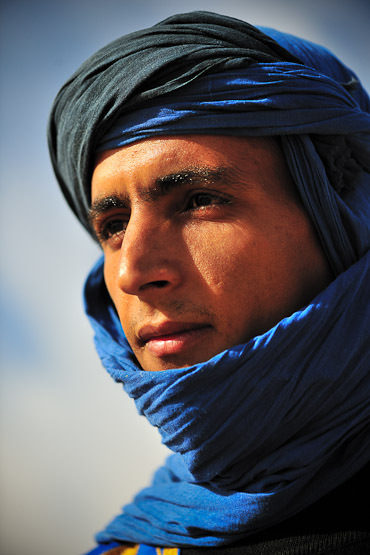 Spend some unforgettable evenings with the Touareg nomads, also known as “les hommes bleus” and be surrounding by nothing else than the endless dunes of this grand desert. 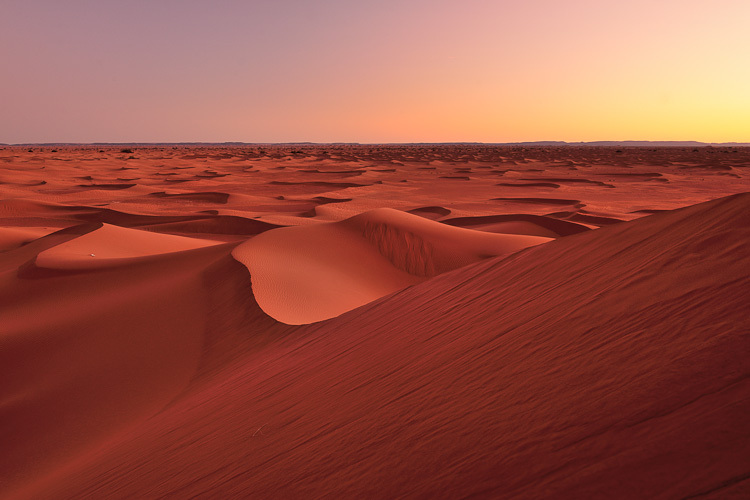 The adventure begins with a flash helicopter flight from Marrakech that will take you in no time into the heart of the Sahara. 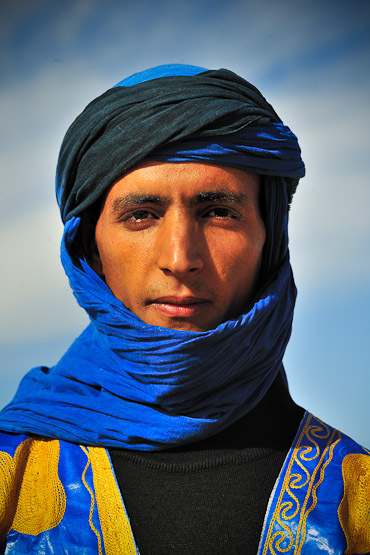 Les Hommes Blues with their indigo blue head scarfs are waiting for you in a deluxe mobile village. 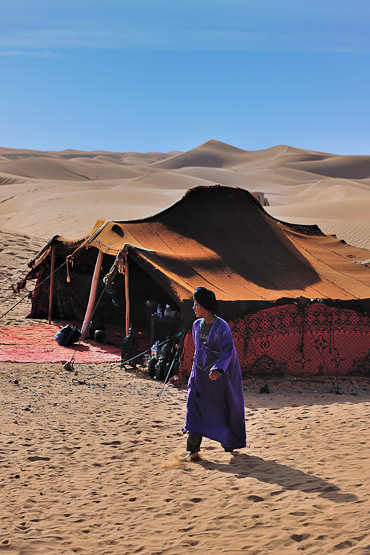 Camels, goats and sheep, and the typical Moroccan nomadic tents, owned by the chief and his family, included. 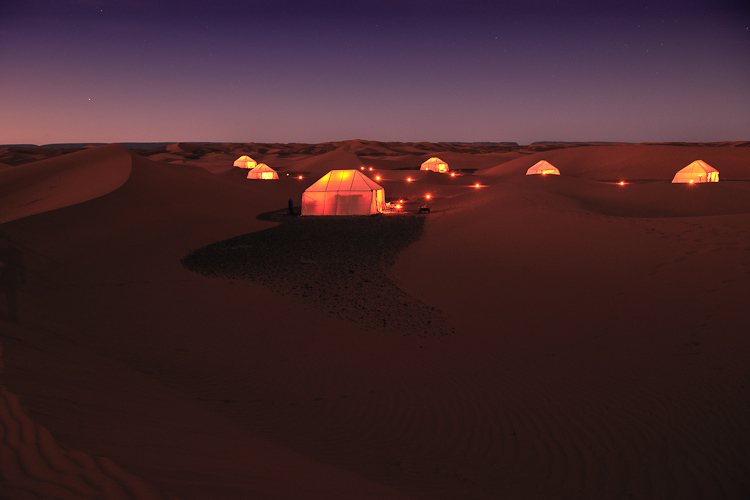 No need to sleep with the camels this time because your accommodation is a beautiful, well-appointed tent with own shower, toilet and comfy bed. 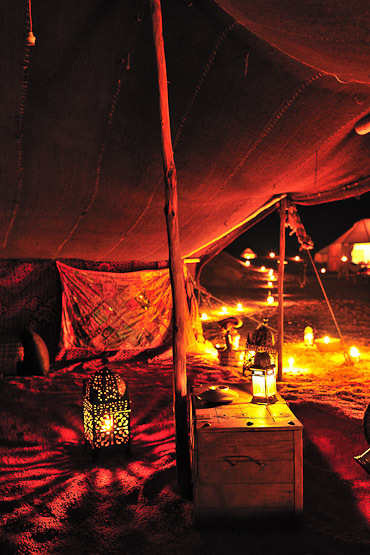 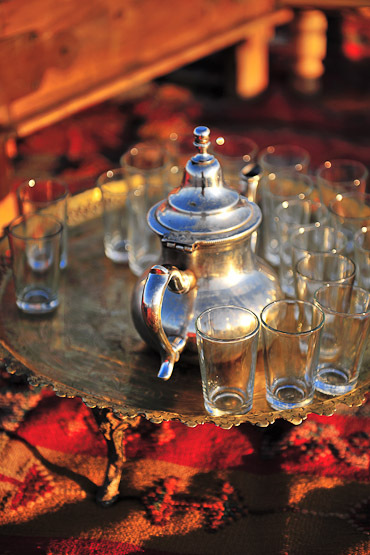 When night falls, guests are invited into an impressive Touareg tent to have an authentic Moroccan dinner. 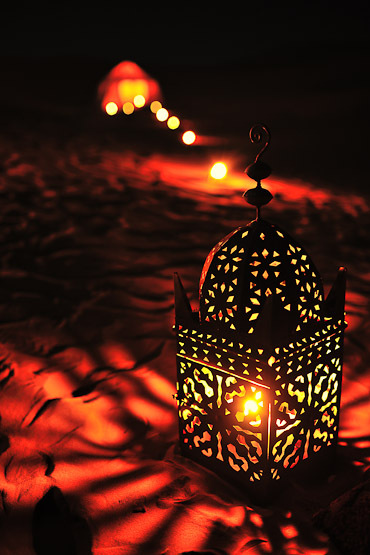 Lots of candle light, lots of charm and ambiance because the Touareg like to end meals with music and dance around the campfire. 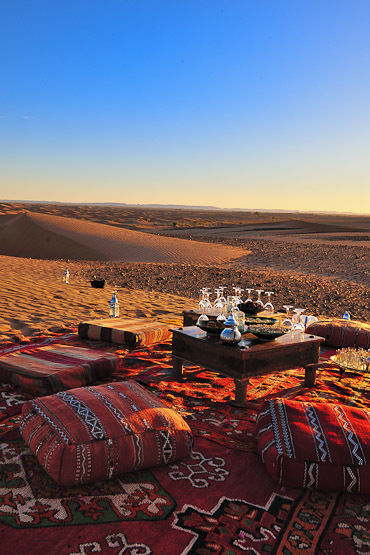 Don’t party too hard because the best time in the Sahara is early morning when the sun peeps up behind the sand dunes. 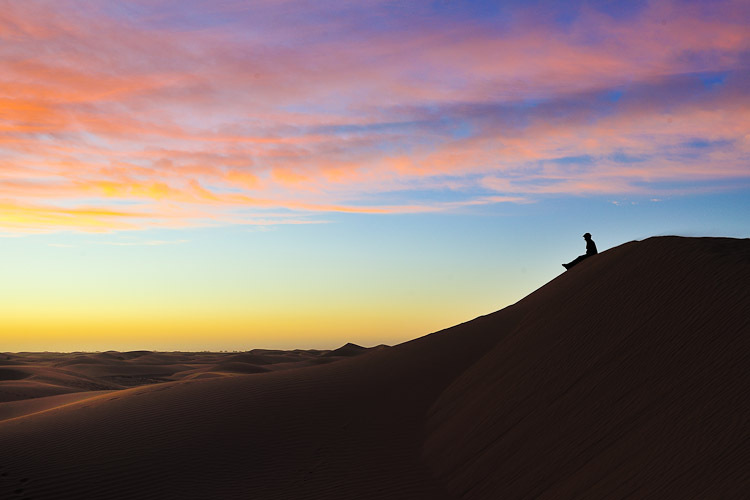 Solitude never felt so good.